The Fresno Methamphetamine Task Force (FMTF) works within the High Impact Investigation Team (HIIT) of the Central Valley, consisting of law enforcement personnel from various federal, state and local agencies. The unit's primary mission is to dismantle Drug Trafficking Organizations and Drug Cartels operating in the Central Valley. Some of the investigations include dismantling secret drug labs, chemicals and equipment associated with the manufacture of narcotics, sales and distribution of narcotics in the Central Valley, and interstate transportation of narcotics. This past year FMTF investigated and assisted other law enforcement agencies on several major narcotic investigations. Some of these investigation consisted of assisting the Fresno County Sheriff's Office with marijuana eradication in Fresno County. Others include dismantling marijuana Honey Oil labs. This type of drug lab is used for the extraction of Tetrahyrocannabinol "THC" into a pasty form. There have been a several of these labs found in Fresno County over the past several years and are becoming more prevalent. FMTF also investigated and dismantled methamphetamine laboratories in Fresno County. Some of these labs were conversion methamphetamine labs which seem to be the latest trend for Drug Trafficking Organizations and Drug Cartels. Most of the methamphetamine is currently being manufactured in Mexico and then dissolved into liquid form. 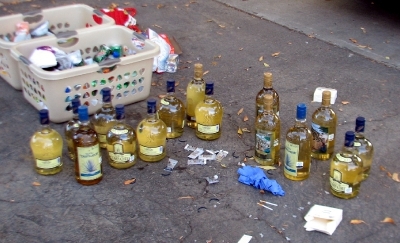 The dissolved methamphetamine is then placed into containers such as Tequila bottles, water thermoses, and Ice tea containers and transported over the border to various sites in California and other states where it is then converted into methamphetamine ice. The methamphetamine is then distributed throughout California and other states for sales. These conversion labs are extremely dangerous. Flammable chemicals are used in the conversion process. 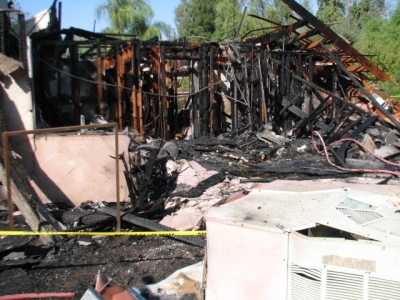 Sometimes the conversion lab can catch fire and explode such as one did in Fresno during the month of October 2012. Other labs such as Methylenedioxyamphetamine (MDMA) also known as Ecstasy labs are also being operated in Fresno County. One of these labs was located in Clovis during the month of October 2012. 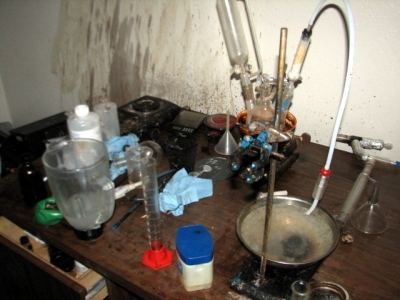 The MDMA lab was in the manufacturing stage also known as "cooking" stage. The lab was located in an apartment. The bedroom and bathroom of the apartment was completely contaminated by the hazardous chemicals. Most of these chemicals are flammables, corrosives, and oxidizers. Some of these chemicals are carcinogens and some can often lead to the room being an oxygen deficient atmosphere. Another danger of drug labs is the disposing of the hazardous waste. For every pound of methamphetamine that is manufacture, five to six pounds of hazardous waste are generated. These criminals dispose of their lab waste by dumping them into farm lands, such as orchards, vineyards and canals.